2ND ANNUAL RUNWAY FOR RISE EVENT WAS A HIT! 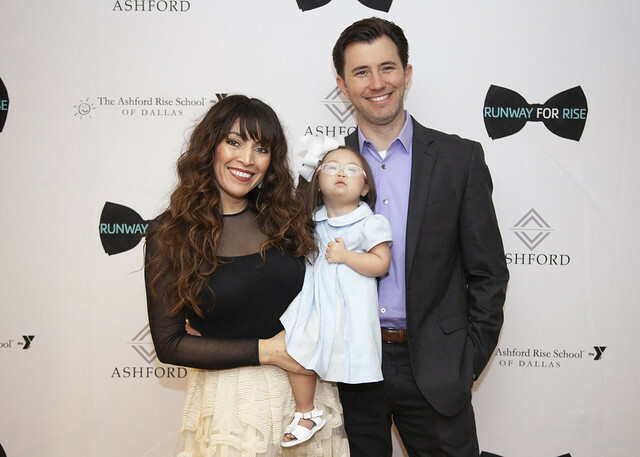 On Saturday, February 23rd, The Ashford Rise School of Dallas held its 2nd Runway For Rise fashion show and luncheon, with more than 300 guests in attendance at The Adolphus Hotel. The luncheon began with a silent auction and signature "Mystery Boxes" for sale, but the really fun began with the fashionable student runway models who stole the show! During lunch the students from the Ashford Rise School of Dallas, one of the best early childhood educational programs for children with or without disabilities, modeled outfits donated by regional boutiques. Each student walked the runway with their fathers or a special friend. NBC 5 Morning Anchor, Kay Blakey served as the emcee encouraging both our runaway models and our generous guest’s giving. This year, the inaugural Rise School Heart and Soul Award was presented to Wendy Payne by long- time friend, Charlotte Jones Anderson. This award is in celebration of the tremendous work she has done in support of the Rise School and their students. The heartwarming event was a great success raising nearly $113,000 to support the Rise School, including a generous $10,000.00 match offered by the Gene and Jerry Jones Family Foundation. Thank you to all the sponsors, guests, teachers, students and their families that helped make this event such a success.